Make lovely baby photoshoot! 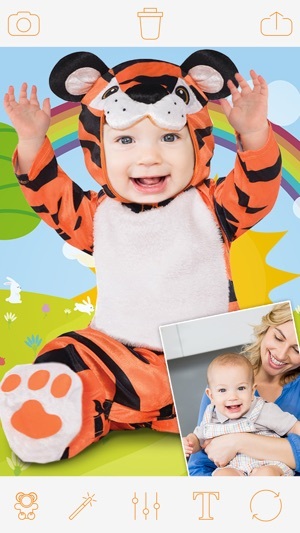 With Baby Costume you can create amazing photo montages with your favorite photos. Baby Costume provides the best kids photo frames for cute baby photo or postcard! 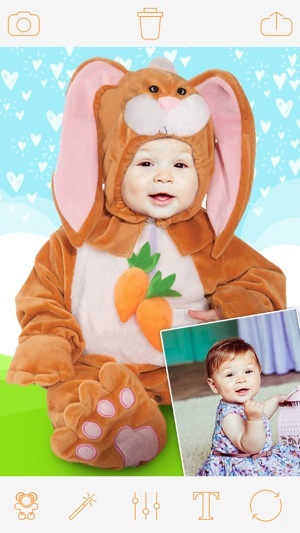 Just fit face in hole and create baby photo in costume! Add Text on photo and share your baby pic! Send the photo to your friends and family from within the application through Email, Facebook, WatsApp, Twitter, Instagram, etc. 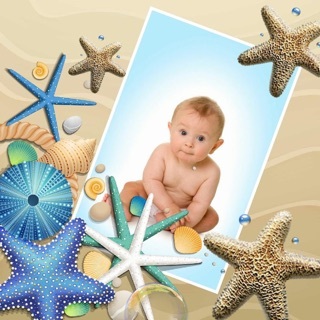 Baby Costume allows you to create amazing kids photo with the best baby frames very easy and fast. - Wide range of styles and different templates for any picture. 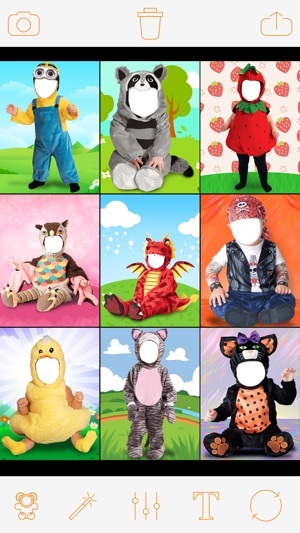 Baby Costume app provides you lot of sweet baby costumes as panda, lion, cowboy, kitten, strawberry, so that you can make a wonderful and amazing photo montage for your kids. Find your favorite templates and designs! - Scale, zoom and move your gallery picture for a perfect fit within the template. - Apply amazing image effects to your pictures. - Add text to photo. - Save high quality photo montages to your device. - Share your creations via WhatsApp, Facebook, Twitter, Instagram and other social networks. - This application is absolutely free to download. • Lot of customized magic mirror effects. ¡Descarga ahora mismo el mejor editor de fotos de Baby Costume Pro absolutamente gratis y toma fotografías de tu pequeño y dulce bebé! 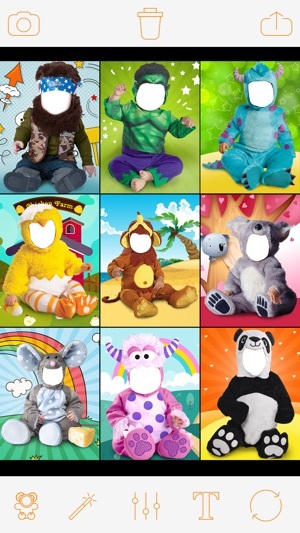 ¡Disfruta y diviértete con Baby Costume Pro!